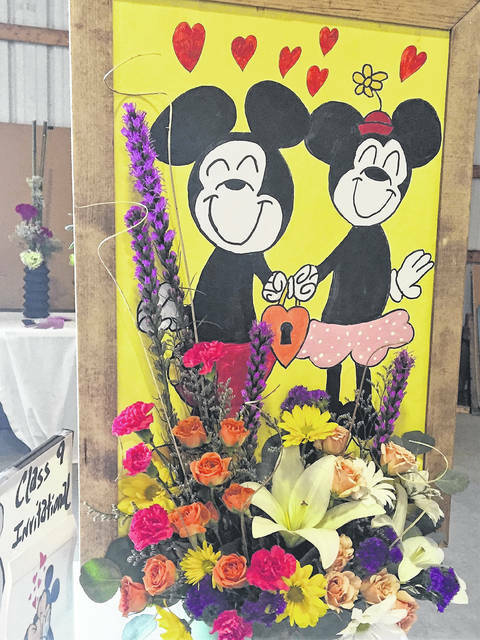 Professional designers from Francis Florist, Pomeroy, submitted this Duo Design for Invitation Class 85-“Locked In Love”. The Big Green was so popular that it was split into two categories. 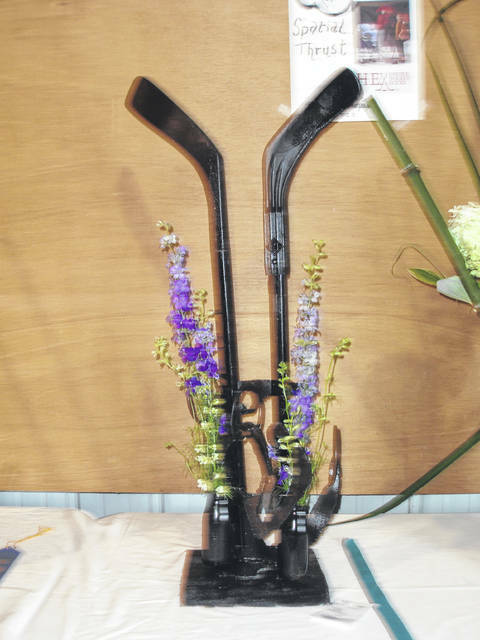 This Spacial Thrust design used real hockey sticks to represent the Disney movie H-E Double Hockey Sticks. This group of miniatures was inspired by the movie Cinderella. 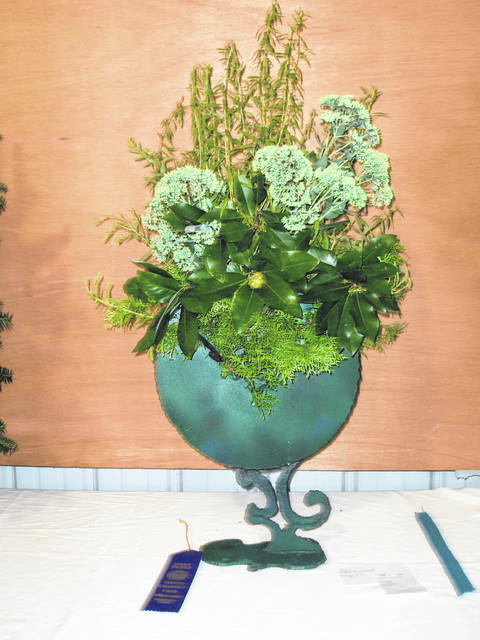 This Big Green design won 1st Place in Category 1. 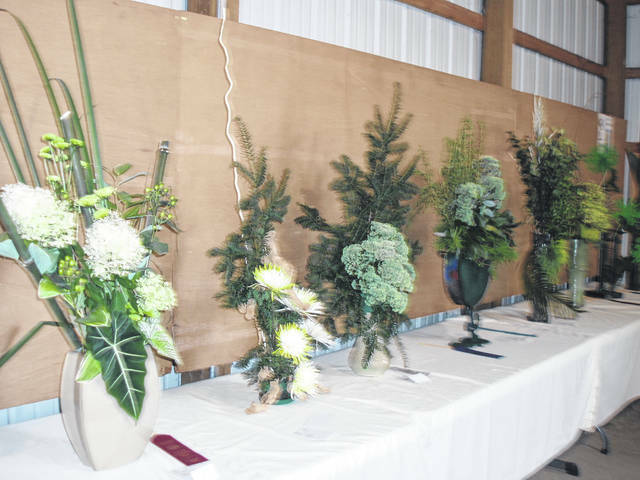 ROCKSPRINGS — The second of two Meigs County Flower Shows was held Thursday, Aug. 16. Class 84: Star Wars The Force Awakens (2017), Choice of design — 1st Melanie Stethem, 2nd Shelia Curtis, 3rd Vanessa Folmer. 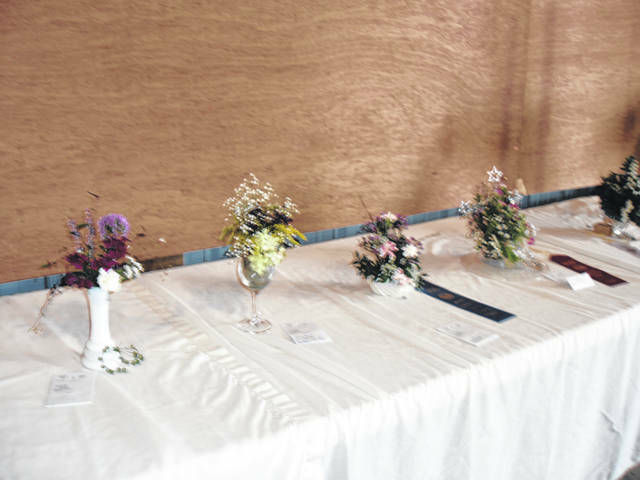 https://www.mydailysentinel.com/wp-content/uploads/sites/14/2018/08/web1_8.24-FS-1_ne2018823164452838.jpgProfessional designers from Francis Florist, Pomeroy, submitted this Duo Design for Invitation Class 85-“Locked In Love”. 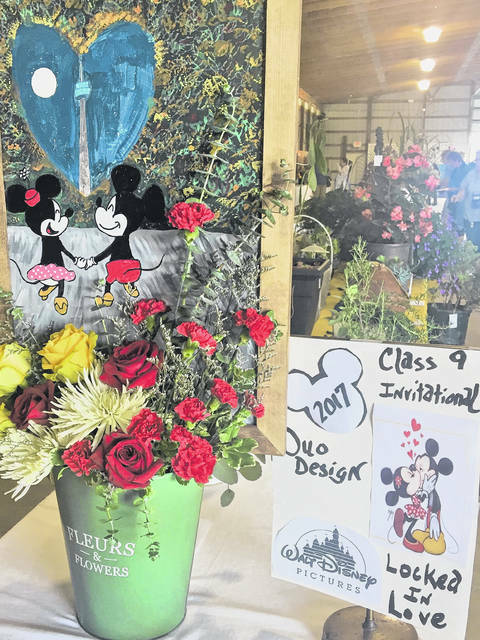 https://www.mydailysentinel.com/wp-content/uploads/sites/14/2018/08/web1_8.24-FS-2_ne2018823164457395.jpgProfessional designers from Francis Florist, Pomeroy, submitted this Duo Design for Invitation Class 85-“Locked In Love”. https://www.mydailysentinel.com/wp-content/uploads/sites/14/2018/08/web1_8.24-FS-3-The-Big-Green-Group_ne201882316451228.jpgThe Big Green was so popular that it was split into two categories. https://www.mydailysentinel.com/wp-content/uploads/sites/14/2018/08/web1_8.24-FS-4-H-E-Double-Hockey-Sticks-2-_ne201882316453623.jpgThis Spacial Thrust design used real hockey sticks to represent the Disney movie H-E Double Hockey Sticks. https://www.mydailysentinel.com/wp-content/uploads/sites/14/2018/08/web1_8.24-FS-5-Group_ne201882316457192.jpgThis group of miniatures was inspired by the movie Cinderella. https://www.mydailysentinel.com/wp-content/uploads/sites/14/2018/08/web1_8.24-FS-6-The-Big-Green-Division-2-First_ne2018823164510153.jpgThis Big Green design won 1st Place in Category 1.